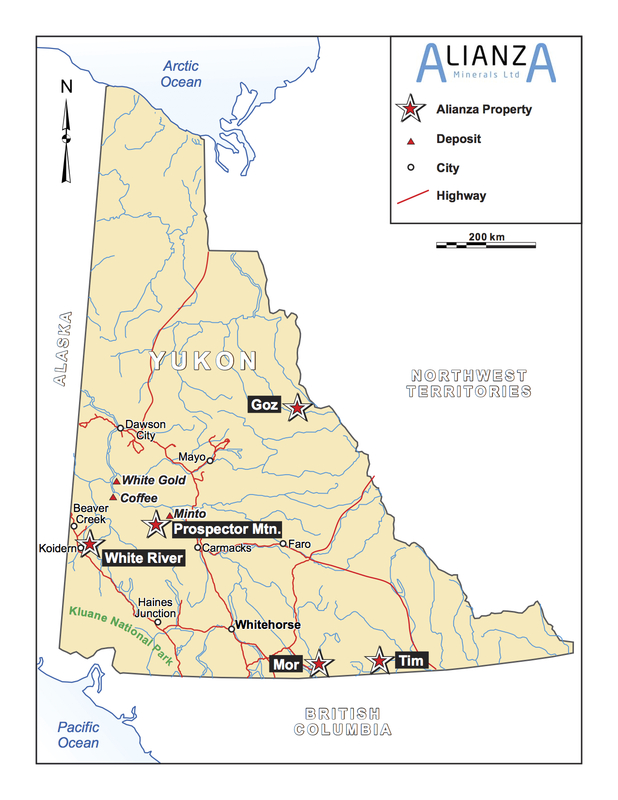 The Tim property consists of 72 mineral claims located 72 km west of Watson Lake, Yukon and 12 km northeast of the Silvertip deposit. The property is accessible by road. The Tim property claims cover an area of anomalous silver-lead-zinc in soil geochemistry. Trenching in 1988 by Cordilleran Engineering uncovered silver, lead, zinc bearing iron and manganese oxides over widths of up to 30 m over a strike length of 1 km. Alianza believes the property has the potential to host a carbonate replacement – manto style deposit, similar in nature to the nearby Silvertip/Midway deposit, owned by JDS Engineering. At Tim, historic trench chip samples returned 352.4 g/t silver, 9.12% lead over 4 m and two grab samples taken from another trench returned assays of 1248.1 g/t silver and 49.5% lead and 978.7 g/t silver and 32% lead respectively. Confirmation sampling by Tarsis, using a rock saw in 2013 returned 6.4 meters grading 220 g/t silver and 4.74% lead. Within this interval, 3.7 meters assayed 365 g/t silver and 7.54% lead. 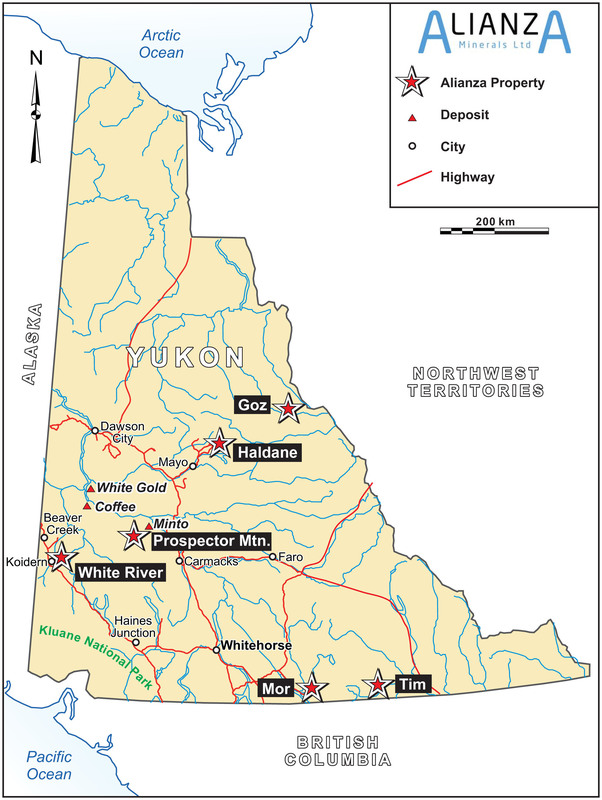 Management believes the potential to expand on the known mineralization is excellent.